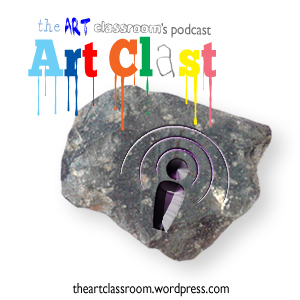 I’ve posted up a new (old) Art Clast episode that was recently put together from leftover footage. The episode was filmed two years ago but never aired. So here it is in all its glory. It features three methods for creating a Valentine card, so it couldn’t have aired at a better time. This ‘Work from Home’ comes from Shannon Brewster (‘Hitmonshan’ on Instagram). She created this stylised painting of Notredame in Acrylics. I really like how she’s handled the surrounding houses, the simple but effective line work on the cathedral is the reason why I had to feature this piece. The colour palette is limited but works so well; drawing the viewers’ attention to the golden structure. The sky has a strange wash on it too, I don’t know how it’s done, but I like it. Shannon reminded me of the blog and made me realise that people still want to visit it (it gets around 1,000 hits a day). So… Just for her and hopefully for the good of all the rest of us. I’ll try to get it up and running again. Keep a look out for new posts. Well… After a long break the blog is back. I have been spending most of my time living on Instagram, but I figured I’d give this another shot and try posting at least once a week. We’ll see how things go. Welcome back everyone! !